The Surubim design began in 1949 by Josef Kovacs and Silvio de Oliveira and first flew in 1959. After tests, the retractable landing gear was replaced by a fixed gear. 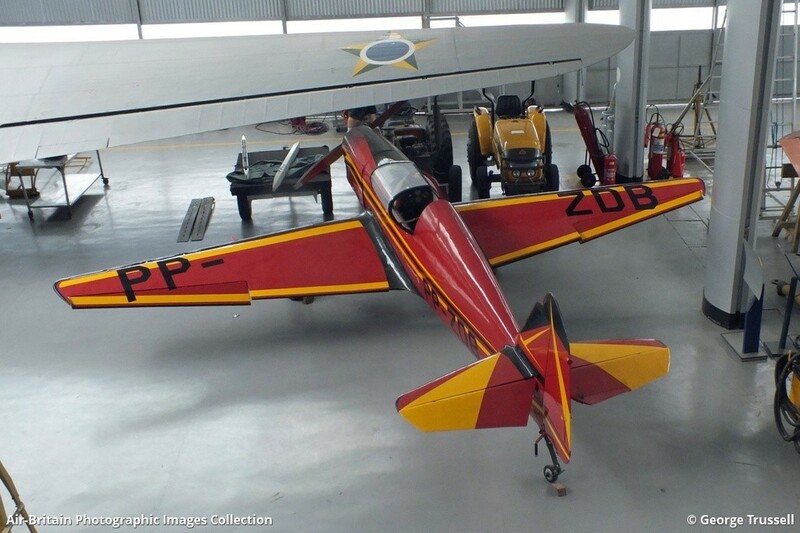 It flew with the Aero Club of Rio Claro until 1988, when it was donated as needing restoration. This was not an easy task, given the lack of original drawings and deterioration of the wooden structure, but it looks great now.